Frances Vavrus was interviewed by Minnesota Public Radio (MPR) education reporter Solvejg Wastvedt for a story broadcast on December 7, 2017 entitled Polyglot, MN: Census shows Minnesota increasingly multilingual (https://www.mprnews.org/story/2017/12/07/census-shows-minnesota-increasingly-multilingual). In the interview, Vavrus discussed the importance of multilingualism among graduate students and faculty at the University of Minnesota, particularly as it enhances collaborative research: "We're all seeing the phenomenon that we're interested in slightly differently and that generates new knowledge that wouldn't be possible if it were only a monolingual, monocultural research group," Vavrus said. Frances Vavrus is Professor in the Department of Organizational Leadership, Policy, and Development at the University of Minnesota, USA. She joined the OLPD faculty in August 2008, where she serves in the Comparative and International Development Education (CIDE) program. 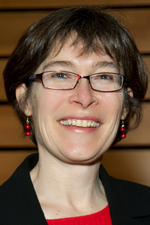 Prior to her appointment at the University of Minnesota, Dr. Vavrus was a faculty member at Teachers College, Columbia University for eight years and an Andrew Mellon/Takemi Postdoctoral Fellow in Anthropological Demography at the Harvard School of Public Health. Prof. Vavrus' research and teaching are in the fields of comparative and international education and development studies, and her principal interest lies in exploring how schooling is situated in these fields as a solution to a host of complex social problems. By looking historically at the cultural, economic, and political bases of arguments to bolster schooling for certain segments of the population in Sub-Saharan Africa—her primary geographical area of interest—she seeks to advance understanding of the transformative potential of education as well as its limitations. Her research is informed primarily by the disciplines of anthropology, history, and political science (especially international relations), and her principal work uses an ethnographic approach to explore how people make sense of educational development narratives that emerge from local, national, and international interactions. Dr. Vavrus also conducts research that utilizes critical discourse analysis and survey methods to address, respectively, questions regarding poverty reduction policies and the long-term impact of secondary schooling on the lives of African youth. Her longitudinal ethnographic and survey research focuses on the Kilimanjaro Region of northern Tanzania, where she has intermittently lived, taught, and studied since 1992. Prof. Vavrus has been a teacher at the secondary and tertiary levels in the region and involved in a teacher education program for Tanzanian secondary school teachers and teacher educators at Mwenge Catholic University in Moshi, Tanzania. In addition to working with this higher education institution in Tanzania, Prof. Vavrus was the co-principal investigator on a USAID-funded project in Zambia working with faculty at colleges and universities to conduct policy-relevant research and has been serving as a consultant to the Open Society Foundations’ Education Support Program on a project with the Malawian Ministry of Education to improve their pre-service teacher education curriculum.